A Certificate is, simply put, a form of identification software uses to identify it as trustworthy when it interacts with other software. They are one of the foundations of authentication and security for software and websites. This trust is established by a well-known Certificate Authority, who provides a Certificate after verifying that the software in question has not been tampered with by a 3rd party. Usually Certificate Authorities charge a fee in exchange for this service. Pleasant Password Server comes with a default, Self-Signed Certificate. This means, that the Certicate Authority verifying the software, is the developer of the software (Pleasant Solutions). 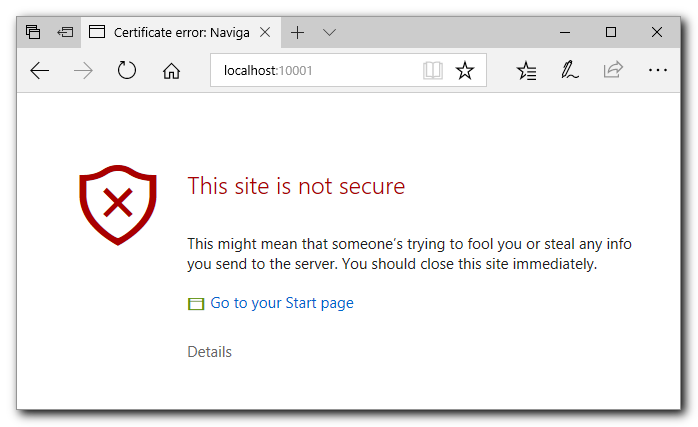 Using this Temporary Certificate will still generate warnings in your browser, even if it is properly installed into the Trusted Root Certificate Store. This is due to the browser security policies. 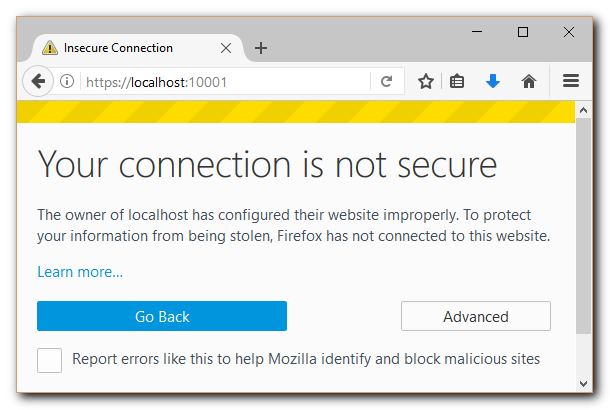 These warnings display, because the name of the Certificate does not match the domain, the full URL address in the address bar. 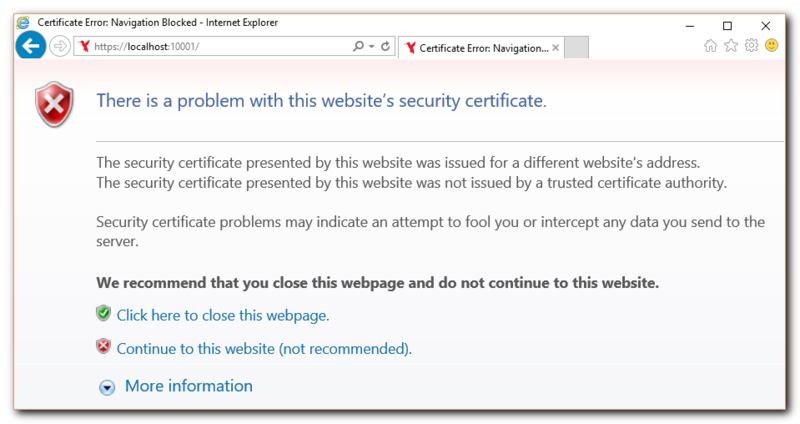 Eventually, consider using a purchased Certificate from a reputable Certificate Authority. This provides an additional level of security. If making your Pleasant Password Server available in an external domain, this is the appropriate safeguard. Pleasant Password Server has provided a self-signed certificate to use as a placeholder by default, with a name of PasswordServer_Temporary_Placeholder_Certificate. Fill out a Certificate Signing Request (CSR) and submit it to a Trusted Certificate Authority, who will then establish that you own the domain, and have proper control. For internal use, this may provide adequate security within your organization. Use an existing organization certificate, or, create on by follow this very good, detailed guide. Self-Signed Certificates, are generally considered a less secure option than Third Party Certifcates. It is been recommended that these could be more susceptible to man-in-the-middle attacks and so you may not feel that they are as ideal for your servers used in a production environment or connected to the internet. To change the Certificate that Password Server uses, run the Pleasant Service Configuration Utility that was packaged and installed with the server. The Certificate used can be reverted back to the default placeholder certificate at any time by clicking the Clear button within the Certificate Configuration section of the Service Configuration Utility. 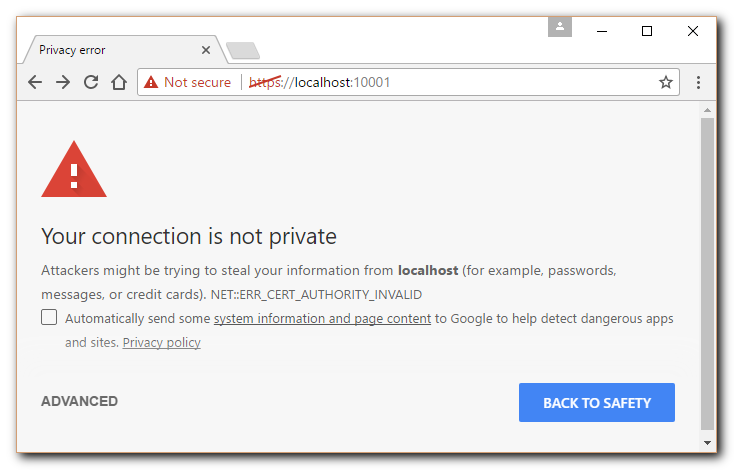 To avoid the certificate error page on an intranet, you must configure Pleasant Password Server to use a certificate name that matches your computer name. Find the name of your computer. Right-click on My Computer and select Properties... or press Windows+Pause. Look for the Computer name, domain, and workgroup settings. Open and modify the Pleasant Password Server configuration file. NOTE: To edit and save the file, you may need to run your text editor (such as Notepad) with administrative privileges; right-click the program file and click Run as adminstrator. Find the following section and change PasswordServer_Temporary_Placeholder_Certificate to your computer name. Restart the Pleasant Password Server service. The last optional step is to install the certificate on other networked computer workstations. This can be done by exporting the certificate from the server computer and importing it on other computers. Some customers may wish to further automate the distribution using scripts or using their directory's Group Policy. (Windows Vista/7) Click Certificates from the left pane and click Add. (Other Windows versions) Click Add... then select Certificates and click Add. In the list of folders on the left, the top folder should be Personal followed by Trusted Root Certification Authorities. These folders represent the various certificate stores for the local computer. Open Trusted Root Certificate Authorities -> Certificates. Locate the certificate with your computer name. Follow the Certificate Export Wizard to save the certificate file. Specify a location and file name for the certificate. Securely transport the certificate to your other workstation so that it can be imported. Use the MMC Certificate snap-in as above. Complete the Certificate Import Wizard.